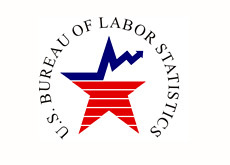 The BLS (Bureau of Labor Statistics) released the state unemployment numbers for September earlier today, and we have just gotten finished incorporating the data into our database. According to the BLS, 23 states and the District of Columbia reported unemployment rate decreases, 11 states recorded increases and 16 states reported no change. The data in our database goes back until 1976, and includes nearly 90,000 pieces of information. That database can be found here.